On Friday 29th June, I went to Hampton Court Palace with my grandad. It took two hours to get there by train (we changed once.) Eventually, when we got there, there was a nice breeze. This was quite a relief as it was very hot that day! 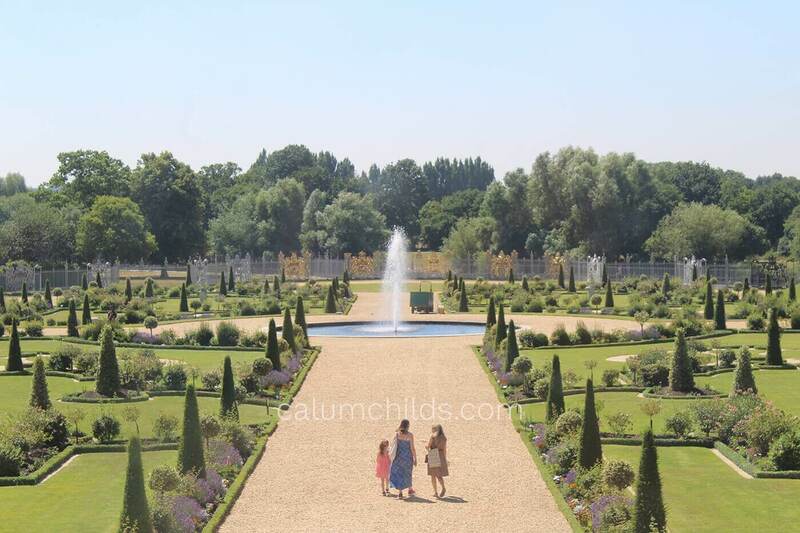 It was my second time going to Hampton Court Palace, and, since we didn’t have my sister with us, we could take our time and explore everything that we wanted to. As you could probably imagine, the palace was very big. It had two sides to it: the Georgian side (built in the late 17th century/early 18th century) and the Tudor side (built in the early 15th century.) We explored the Tudor side first, which explained how the young Henry VIII was, and it was the complete opposite of the person we usually think of today. He was handsome, athletic and charming. I learnt that Henry wasn’t expecting to become king as his brother Arthur was the eldest, but he died. I also learned that Henry’s advisor, Wolseley, lived in Hampton Court Palace before Henry VIII took it off him after he failed to negotiate a divorce from Catherine of Aragon with the Pope. He lived there for the rest of his life, and his children (Edward, Mary, Elizabeth I) also lived there. In the early and mid Stuart era, no monarchs lived at Hampton Court until the 1670s when William III decided that he wanted to live there. But he wanted to knock all of the Tudor parts of the palace down and put a what was a “modern” palace in it’s place. Thankfully, he ran out of money and only the back of the Tudor palace was knocked down and a “modern” one built in it’s place. If you go there today, you can see the fusion of the two time periods that is unique to Hampton Court. And before I move onto the rest of the visit, Hampton Court Palace is one of the most haunted places in the UK. So, if you’re planning on going, look out for some ghosts! After some exploring around the gardens, we went into the gift shop and bought a book about the history of Hampton Court before heading back on the train again.